Operation Christmas Child provides gifts and the hope of Jesus Christ to millions of children in need around the world. Pack a shoe box (or several!) full of toys, games, care items and more for a boy or girl and drop it off at Highlands any time before November 19th. Pick up a shoebox in the Worship Center lobby, pack it, and then drop it off before November 19th. Pick a shoebox - Pick up one in the lobby, or purchase a shoebox-sized plastic bin. Choose if your box will be for a girl or boy, ages 2-4, 5-9, or 10-14. Pray for the child who will receive your gifts. You can also include a letter and photo to let kids know who you are. 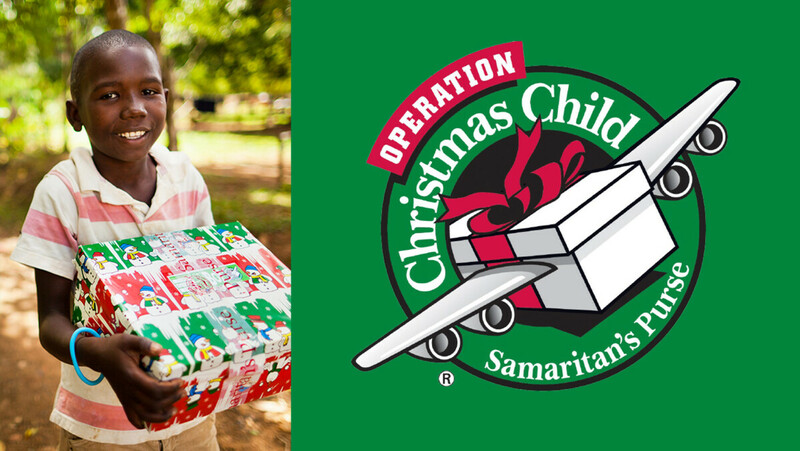 Visit the Operation Christmas Child website to learn how to pack a box, get packing suggestions, and more.